The market is becoming tough by the end of each sunset. Acquiring or maintaining new customers is now the most daunting task known to any marketing manager. The entire market currently offers a plethora of considerable options and substitutes to a potential prospect or to an existing customer. If you still think that the market is seller’s driven and is not customer driven then you are probably living with a delusion inside your head. The transition occurred way back, and now every marketing strategy is designed with keeping the customer’s interests as the primary objective. The thought process behind marketing campaigns today has witnessed a groundbreaking change in recent years. The customer relationship management and analysis of customer behavior in contemporary times are of extreme importance. And in this fight for market share, business automation works like a remedy for all your ills. If you are not aware of the marketing tool yet, then get ready to be schooled today about the same. How much do you like the idea of compiling and streamlining all your sales and marketing data, actions, campaigns, sales confirmations under the same platform? This is exactly what marketing automation is all about. Being aware of all the intricate details about how your marketing campaigns are working out, sales of the month, at what interval does the customer makes his new purchase and many other such details that can help your business grow. Now calm your horses because there is more for you to get educated on. The idea of marketing automation is not only intriguing but will also contribute to your bottom line. And if you can’t keep your clam, then you can start using the Talk Out Loud Business Automation tool for managing your business in the ways like you never did before. What are the benefits of using a business automation toll? We are sure that you must definitely have a landing page on your website and other options of automated sign-ups. You can directly land the prospect’s email address through the business automation tool. All the data collected will be stored in one place, and you can use it whenever you wish to for your marketing and customer awareness campaigns. You just landed new customers by creating innovative business leads and would you not like to welcome with a note of thanks? You can automate the entire series of your designed emails in one go. A marketing automation tool will make your job hassle-free in this regard. A convinced and a potential prospect might not end up buying the product even at the last moment due to some reason or the other. It is hard to compute or analyze the reason behind this but as a businessman what one can do best is to keep pushing for generating the sales. Sending automated reminders to all your existing customers or to the new potential prospects is of great help. The same can be done for making press releases, product launches, and for many other communicative purposes. Online marketing can be done on various social media platforms and has become much more important than any other traditional form of marketing. But social media can be a pain because of posting posts regularly on a strict routine. The solution to this would be if all the social media posts can be prepared early on and can be scheduled the same day for all the coming days. All the time and energy can be saved by scheduling social media posts in advance. You can also send emails to only a number of active customers or clients. Adopting this habit will not only save you time but will also serve well to your marketing and sales campaigns. Keeping the existing customer loyal is the biggest challenge than acquiring a new customer in today’s time. When you have landed the customer, then why not introduce the person with other products and services that your new customer can likely purchase or avail. This is the most effective way of selling your services and products online. Which business is ideal for using the marketing automation tool? If your business currently is not generating enough leads that it should, then you should consider nurturing your business leads with the help of a marketing automation tool. Your struggle of not being able to land a prospect even for your product demonstration is a major issue that needs to be addressed urgently. With time and constant monitoring, you will be able to realize that what all has gone wrong with the previous campaigns. You will be able to track all the campaigns from the very first day and will give you freedom of making changes as per your wise understanding. 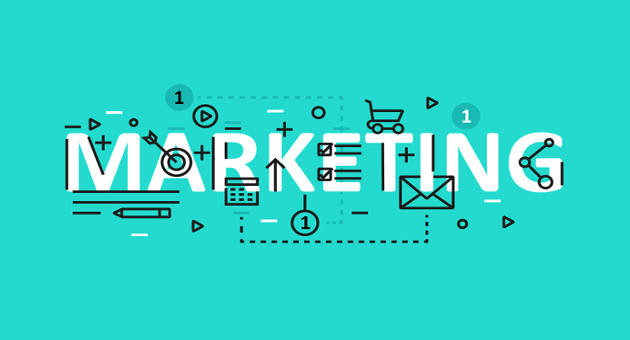 Ultimately, marketing automation is a tool that helps in achieving large business missions and goals desirably without spending too much time and effort. Do not directly jump onto your marketing automation endeavors without devising a full proof plan and goals. If you don’t sump up all your current data and marketing campaigns, then you might head towards a total fiasco in the coming days. The best is to align your existing marketing and sales campaigns with your upcoming business automation campaigns. The goal should be to keep customers engaged no matter what the campaign is and that is essentially the main advantage of using this tool. Effective customer engagement can be a tough job, but if the marketing automation tool is used with insight, then it can surely bring wonders for your business.